The year 2011 was declared as the International Year of Forests by the UN (see the Echo for some of Liverpool’s plans). The very modern Mersey Forest has seen 8 million new trees planted since 1994. But there’s a much longer and fascinating history of woodland and forest in this area. As the glaciers of the last ice age began to retreat about 12 – 10,000 years ago the dry land left behind became tundra. Shrubs, moss and lichen only slowly populated this cold, dry landscape. Only gradually did the first woodland – larger plants such as juniper, then birch, hazel, elm and oak – establish themselves. By around 5000 years ago more familiar woodland – oak and elm – had become permanent features of the landscape. It was around this time that humans made their first impacts on the natural environment. The earliest periods of human activity in the north west of England are the Mesolithic and Neolithic (the middle and new stone ages). As the effects of melting ice had not fully taken effect, the sea was around 20m lower than it is today. If you’ve visited the Crosby coast you’ll know just how shallow the slope of the land is, and so the coast was 15-20km further out than it is now. Not only humans and animals occupied the land, but also the trees of the widespread oak woodland. Sea level rose and the land was flooded. The waters submerged these trees and protected them beneath layers of water and silt. The petrified remains of tree stumps can therefore still be seen at low tide right across the coast from Anglesey to Southport. As well as the drowned trees, areas further inland suffered from periodic flooding and water-logging, creating marshy ground, ponds and streams. By the Neolithic, gaps appeared in the woodland, with humans felling trees. The cleared land was then used for their first attempts at farming. Into the Bronze and Iron Ages (and the Roman period), wherever people settled they cleared the forest. The climate became colder and wetter again at the beginning of the Bronze Age, and so marshlands and bogs spread to replace tree cover. Place names are one of the major sources of evidence for medieval settlement in the region. These rarely give clues about the woodland (they mostly talk of ‘British farm’, ‘boundary river’ and ‘settlement’). An exception is West Derby (deorby = enclosure with deer, or a hunting park). Also, we know that Edward the Confessor had a hunting lodge in the area (possibly on on Lodge Lane). This suggests that the landscape (perhaps for many miles beyond West Derby itself) was covered in trees and pasture. This made a suitable habitat for the deer. It’s important at this point to define a special use of the word ‘Forest’. A Royal Forest was not just a collection of trees. It was a space likely enclosed by a pale, a large bank and ditch. The pale might even have a fence on top, and came with a whole host of regulations, privileges and restrictions on its use. Roger of Poictou was one of William of Normandy’s allies in the invasion of 1066. William rewarded him with the Hundred of West Derby, bringing Toxteth, Croxteth and Smithdown into one royal forest. This cemented West Derby’s administrative importance, and paved the way for Liverpool’s birth two hundred years later. Toxteth remained a fenced-off royal park for hundreds of years. 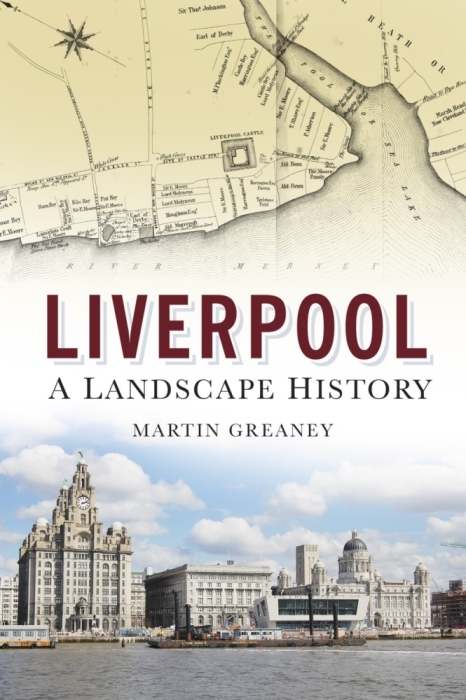 In fact, the restrictions on building or farming in royal parks began to hinder 16th century Liverpool’s growth. James I eventually ‘disparked’ Toxteth in 1604, and entrepreneurial farmers rapidly took advantage. The farmers transformed the newly available land from tree-and-pasture to pastoral and arable. While there was no longer much royal passion for hunting in Liverpool, the city grew rapidly in the 17th and 18th Centuries. Farming, industry and housing nibbled away at the edges of rural Lancashire. It was only in the late 19th Century that the city made efforts to preserve some of these green and pleasant areas. The rich merchants who lived in Toxteth wanted to escape the increasingly polluted city. Poorer workers in the inner city and inner suburbs (Kirkdale, Everton and eventually also Toxteth) could also benefit. For this reason we have a string of parks around the old city boundary. Two of these – Princes and Sefton Parks – have remained undeveloped. They have remained so since the time they were part of Toxteth Park. However, whether any of the trees there today have such a long pedigree is questionable! We leave off where we came in: with the Mersey Forest. This modern project is the successor to the ‘green lungs’ of Liverpool. These were the parks (Sefton, Newsham, Stanley) opened in the late 19th and early 20th centuries. It also restores some of the natural woodland which covered the area for millennia before Liverpool started to thrive. The ancient woodland of this part of the world developed gradually after the last ice age. Prehistoric communities slowly cleared the woodland, using the land to farm and rear animals. This process was slow at first, of course. Eventually royal order fenced off a lot of the woodland, protecting it from change by royal order. Over the past 200 years industrial and commercial concerns saw the clearance of almost all the woodland. The city’s benevolent (or self-interested) rich put new walls in place, protecting parks for all the city’s inhabitants. Still, the environment deteriorated in the face of human action until the later years of the 20th Century. Preservation of natural resources became a much more prominent concern, and in 1994 the Mersey Forest was created. The partnership billed the project as ‘woodlands on your doorstep’. Through community and partnership working, we have planted more than 8 million trees. To date more than 6,000 hectares of new woodland and improved habitats have been achieved, an area 500 times the size of Wembley Stadium. Since 1994, more than 70% of the woodlands in The Mersey Forest have been brought into management to secure their long-term future. For every £1 invested in The Mersey Forest, £8 of outputs is generated, thanks to the way we maximise our funding. 60% of people living in The Mersey Forest use their local woodlands – with nearly 20% visiting at least once a week. 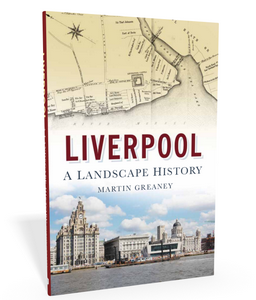 Liverpool has a long forest history. It has made plans for Merseyside’s woodlands to continue to thrive for millennia more. Image: Golden Park Woods (Early morning sun among the Oaks and Plane trees of Sefton park, Liverpool) by Ben Mitchell, released under a Creative Commons license.